A love that lasts long, despite eating fashions and change in lifestyles: all Italians, or almost (99%), eat pasta, on average about 5 times a week. A curiosity: real fans are shifting their geographic barycentre to Central Italy, while in the past the primacy was in the South and in the Islands: here 45% of Italians - especially men - eat the product every day. A similar percentage, 46%, not only loves pasta and consumes it regularly, but considers it the preferred food, for reasons of taste or health. A study carried out by Doxa-AIDEPI, the Italian Association of Sweet and Pasta Industries, revealed this. 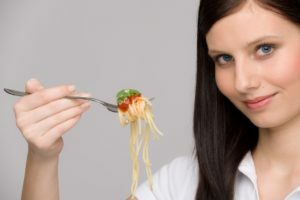 The study analysed the key factors concerning the perceived quality of the product according to Italians on the occasion of the 50 years of life of the so-called ‘Law for Pasta Pureness’, issued in 1967 (L. 580/67), which establishes the quality parameters that allow Italian items to excel in the world. Riccardo Felicetti, President of Pasta makers of Aidepi, said: ‘Germans have a law concerning beer pureness; we Italians have a similar law for this product. In Italy, pasta has always been obtained from durum wheat semolina, the only one whose toughness allows firmness after cooking. To protect and defend our quality, 50 years ago this tradition become law. 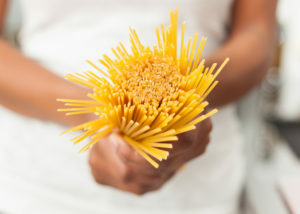 Since then, anyone in Italy produces pasta destined for the national market must use dough prepared exclusively with durum wheat semolina (or wholemeal semolina) and water, without using any additive. 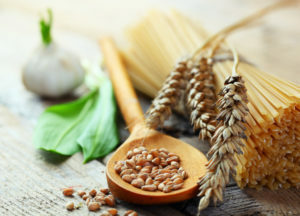 Elsewhere, this is not the case: in many parts of the world soft wheat is used, which gives a different pasta in terms of consistency and firmness after cooking. But there are also other limits to guarantee the quality of the product that is our symbol. For example, its colour, or minimum protein level and gluten quality to retain starch and thus allow the proverbial 'firmness after cooking'. According to the Law for Pureness, in Italian pasta the protein content must be at least 10.5%, but the values ​​of our pasta are definitely higher’. The question is simple: but when we choose it, on which base do we do it? What brings us to say that a specific product is better? The answer is quite simple: for Italians, firmness after cooking is the first priority (77%), then they consider that it is made with quality grain (68%), and finally that it perfectly combines with the right sauce (60%), creating the masterpiece of taste that characterizes this course.